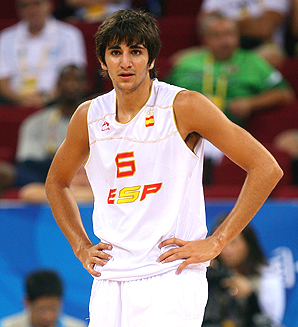 Ricky Rubio will have to sign with Timberwolves today, unless he wants to deal with a possible NBA lockout. If he signs today, he will be guaranteed $9.4 million over the next three years per the NBA's rookie salary scale. If he does not sign, he risks big time money and will have to rely on the players association to create a new CBA. As mentioned in previous posts, David Kahn is "all in" on Rubio and no one is more anxious than Mr. Kahn today.